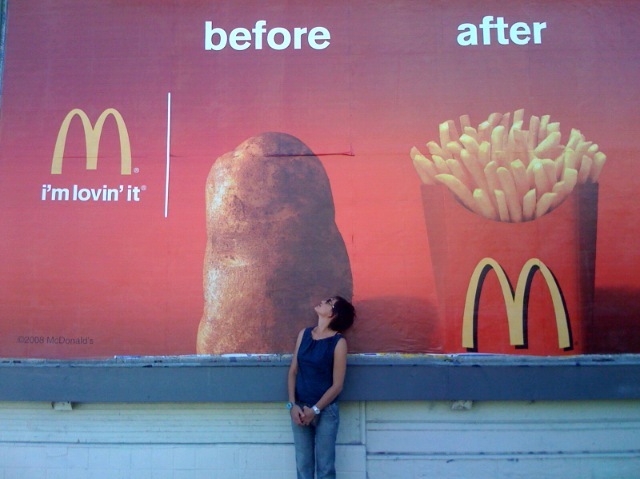 Steps away from Leigh Beisch’s studio, Leigh spotted a billboard she shot for McDonald’s. As she says, “It was the only time she liked seeing a billboard so close to her studio. Her friend shot the picture of her. This entry was posted in Leigh Beisch and tagged Leigh Beisch. Bookmark the permalink.